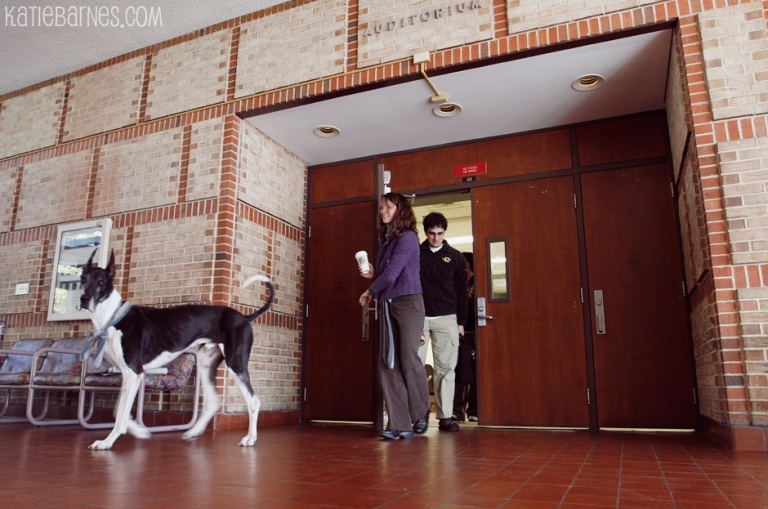 I first met Alexander the Great (Dane) while walking home from a photojournalism class in Columbia, MO. Actually, I met Alexander before I met his owner, Sara Chant. He was standing outside of a Starbucks on Ninth Street, hopelessly staring into the windows while his leash was held by a couple of guys sitting outside. Being drawn to visual subjects, I instantly walked across the street to introduce myself. One of the folks holding his leash politely said, “He’s not our dog, we’re just watching him for that lady in there,” and gestured inside. After a few seconds of giving Alexander some good pets to say hello, Sara popped back outside with a coffee cup. I introduced myself to her, and promptly felt my mouth drop open while she returned a hello and simultaneously set the coffee cup, full of whipped cream, in front of Alexander. “He always whines when we walk past Starbucks, so I have to get him his puppy cappuccino”, Sara explained. After a short conversation, I learned that Sara was on her way home from teaching a philosophy class at MU, which Alexander joined her for each day. She also told me that she had four more great danes at home, and I was instantly smitten. I spent the next four weeks spending time with Sara and her great danes for my very first long-term photo story. I fell in love with Alexander, and the great dane personality, and promised myself that one day, I would find a great dane of my own. 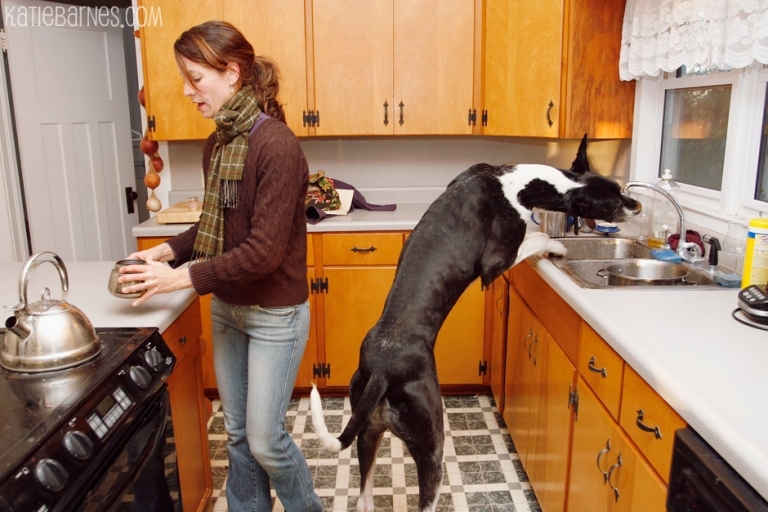 Five years later, I was the new mom of a fawn great dane named Zelda… and it’s thanks to Alexander the Great. Here are some of my favorite photos from that story. Some have been shared before, some were hidden deep in the photo archives of my collection. Alexander passed away today, Feb. 18th, 2014. He truly was a wonderful, kind, loving old-soul of a dog. I know he’ll be deeply missed. 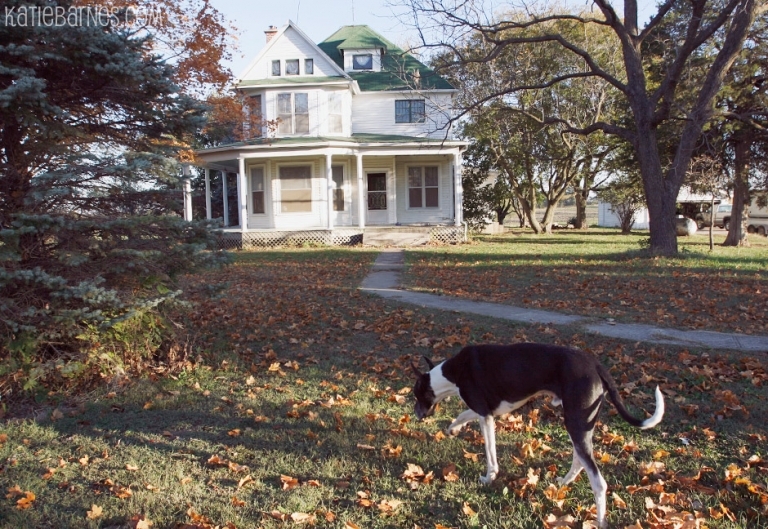 And for those of you who haven’t seen the photo story on Sara and her danes, here’s the multimedia project I did in 2007. Your photos are moving, and the story they tell is amazing. With these shots, Alexander and Sara’s love story will never end. Thank you for sharing them AND yourself with us. Your photos are enchanting; your subjects so sweet. Because of your photos, their love story will never die. Thank you for sharing Sara, Alexander and yourself with us. Thank you for sharing your beautiful story and photos. Our Alex lived to nearly 9 years old. Miss Izzy is now two and a half. They are truly wonderful dogs. 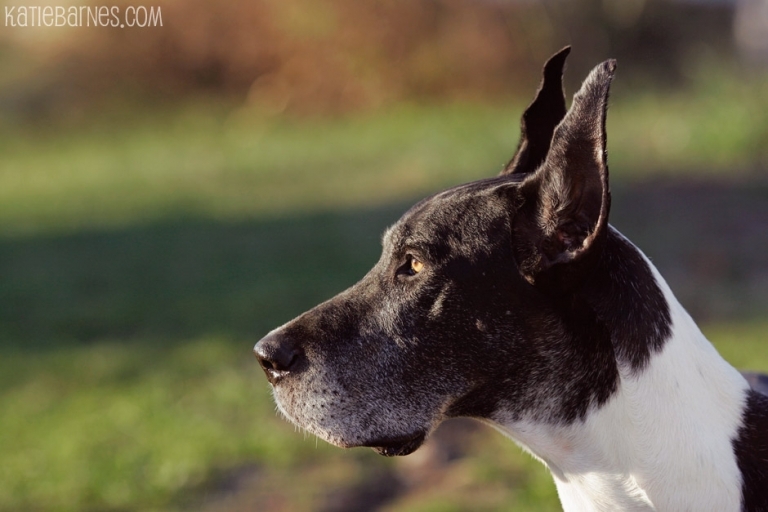 The emotion in your photos really is genuine to anyone who has loved a dane.